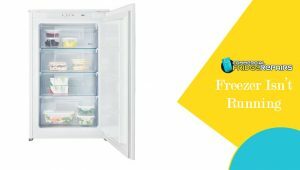 When it comes to keeping perishables in the best of the condition, refrigerator has made a non-replaceable impact on the daily life of the human beings. In search of livelihood and coping up with the busy lifestyle, veggies and non-veggies need to be preserved for future consumption. Every effort is made towards ensuring they last long. Therefore, when there is any issue related to freezer, the commercial sector like the hotels, motels and restaurant owners are left with panic-stricken face. And why not, a broken down refrigerator means wastage of stored eatables and money in the end. There are several problems associated with the refrigerator, that at times can be recognised. While, there are some which are hard to detect. Identifying and fixing by self is always challenging and the probability of success is unidentified. For example, setting of the temperature can be easy on one hand, while fixing the issue related to compressor is always going to be an impossible task for the one who does not has the basic training. Therefore, according to the experts catering to fridge repair, tampering any of the internal circuit will leave the fridge prone to shocks and short-circuiting. One of the most common problems associated with the commercial refrigerators is the malfunctioning of the freezer. However, this does not signify any serious reason behind the fault. There can be issues because of the thermostat or improper plugging in. According to the professionals, if there is no fault in the external wiring, then the probable reason can be either electrical short or internal issue to be addressed by professionals only. Even after constantly running, the freezer is not cold enough, then the very first thing, a person, as an owner need to do is to check the temperature meter. If by doing so proper frosting is obtained then it is well and good. Else, call for the experts. The professionals point out another reason behind the cause of insufficient chillness in the freezer- improper airflow. A constant stream of air that is not replaced leads to raise the temperature inside the chamber. Apart from all these technical faults, what needs to be inspected is whether the door seals of the refrigerator are intact or not. Any leakage due to wear and tear will help the cold air to escape. Another cause of improper cooling has been reported in the commercial freezer has been because of the damaged condenser coil. Any over freezing or dirt on the coil affects the effectiveness of the condenser and hence, reduce the cooling. 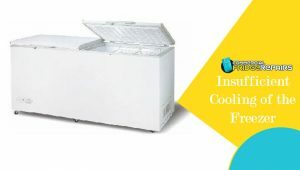 Is your commercial refrigerator giving you trouble and the reason for which you are not able to figure out. 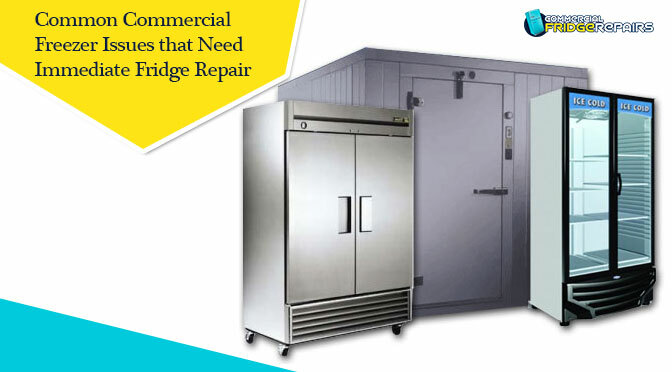 Well, call the experts from Commercial Fridge Repairs who have years of experience in repairing fridges and freezers, commercial cool rooms. With the most effective methods, the technicians are able to address the issues with the best possible solution.